Before reaching for your checkbook, we suggest that you go and see as much art as you can. Our IAF Parallel programme offers first-time buyers an excellent opportunity to discover exhibitions across India’s most exciting galleries and museums, perfect for anyone who wants to learn as much as possible South Asian art. Ahead of the fair, you can also visit our blog to read interviews with leading contemporary South Asian artists and watch films that go behind-the-scenes in their studios. Doing your research is the best way to learn about what kind of art you actually like, which is the first (and only) thing you need to know about collecting. Where can I get more information about artworks? When you visit the fair, don’t hesitate to speak to gallerists. They are the resident experts on the artworks they’re exhibiting, and will be delighted to answer any queries regarding an artwork, from the logistics of making a purchase — like framing, installation, and transport — to the philosophical underpinnings of the artist’s practice. See the fair as an opportunity to tap into their expertise, and gain fresh insight into contemporary art. How big should a work be? When it comes to bagging your first piece at India Art Fair, there is no strict rule regarding size. Consider where you intend to hang your artwork; a piece that fits in your sitting room might be lost in a bigger space, like an office foyer or a shared building. 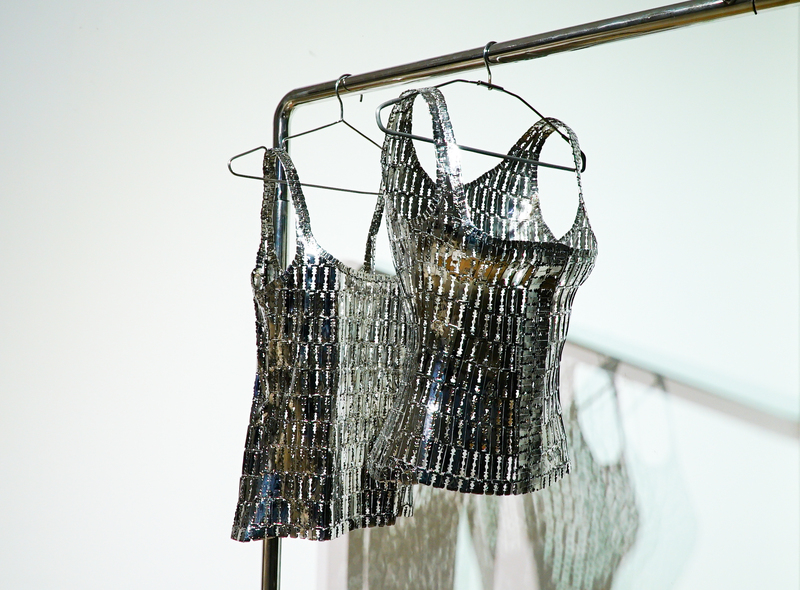 Here, there’s scope to display dramatic pieces, such as a large installation by Manish Nai. Many starting their collection tend to opt for smaller work, but don’t make the beginner’s mistake of assuming that there’s always a correlation between size and price. While an M.F. Husain of Lilliputian proportions could burn a sizeable hole in your wallet, a larger work by an up-and-coming artist might fit comfortably in a less spacious budget. Bear in mind that other factors — from the rarity of the artwork to market demand — can be much better indicators of price than size. What type of work should I collect? 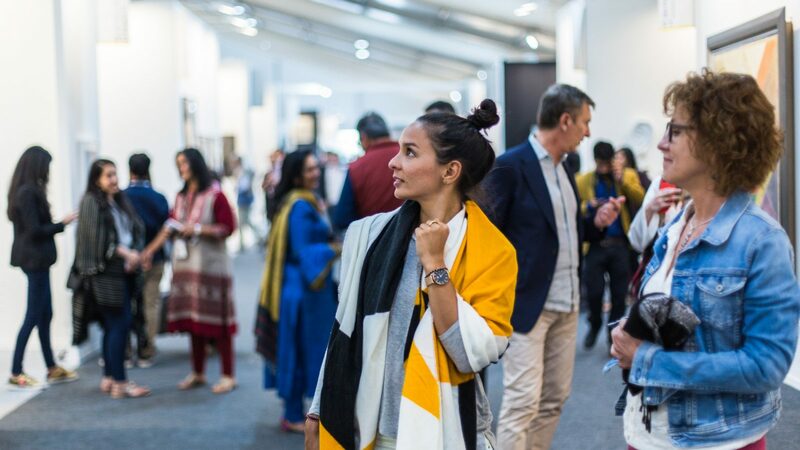 Your first artwork could be anything from sculpture to painting, print, drawing or installation piece, and India Art Fair is the perfect place to discover a wide variety of art forms! Size and space again raise important questions for the young collector, but with even more opportunities to get creative with placement, choosing to buy a sculpture or installation over a painting should ultimately come down to a matter of taste. 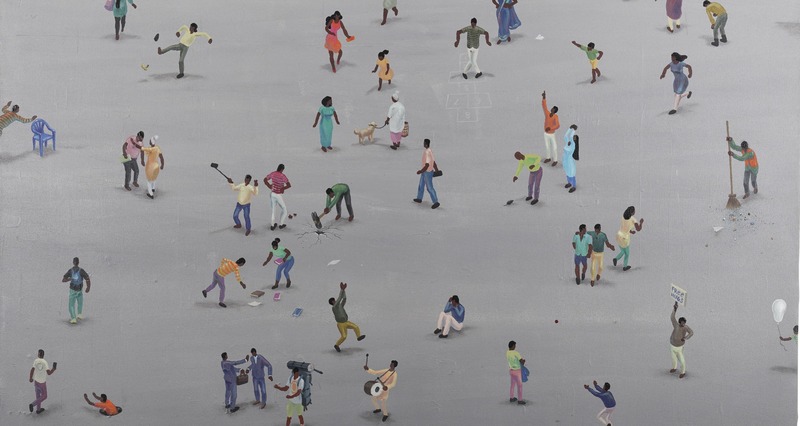 The fair offers an eclectic range works across a spectrum of budgets — whether you’re eager to purchase a large-scale work by a well-known contemporary artist such as Idris Khan, or a piece by an emerging talent like Sameer Kulavoor making their market debut. How do I get my artwork home? Concerned about fitting a large L.N. Tallur sculpture in the boot of your car, or traveling with a fragile ceramic piece by Ai Weiwei? Fear not — our gallerists are here to help you with everything from packing to transportation! However, do ask them to set out all the additional costs before you buy. Delivery and taxes can be extra expenses, so be sure to budget for them.